The time between 8 and 16 weeks is the most important in your dog’s life. Let our puppy training classes help you get off to a great start! Puppies don’t grow out of problems like jumping, nipping, and chewing. They grow into them. Start training now while it’s still easy! Don’t have time for those first couple of weeks of intense supervision, training, and getting in the middle of the night to take your puppy out? Let us train your puppy to behave like a trainer’s dog. 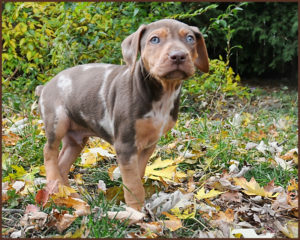 Cincinnati’s puppy board and train specialists train your puppy in a loving home environment. Your puppy will live in our home like one of our pets. We’ll do the hard part of house training, establishing a lasting obedience foundation, and socializing your puppy extensively. Faster Results: We can do in 3-4 weeks what would take you 3-4 months. Less Work: Puppy training means practicing every day. Let us do it for you. Less Stress: Untrained puppies chew things up, have bathroom accidents, and need constant supervision that includes getting up in the middle of the night to take them out. We’ll get that under control in a hurry. Peace of Mind: We provide a loving safe home environment where your pup gets constant supervision and attention. No kennels here. Intensive Support: We train you to make sure your puppy’s training sticks. Would you like us to train your puppy for you, but just can’t bear the thought of missing out on all that puppy cuteness? In our Day Training program, we come to you to train your puppy – even while you’re at work. Our trainers come to your home a total of 4 times each week for several weeks. The first 3 lessons each week are to teach your puppy obedience and manners. The fourth lesson each week is to teach your family to maintain the training. Faster Results: We can do in 4-5 weeks what would take you 3-4 months. House Training: We’ll give you a house training plan and a schedule to follow between visits to make house training your puppy yourself much easier. Socialization: Day training is popular with active puppy owners who can take their puppies out into the world for quality socialization, but we also have programs where we take your puppy on socialization field trips for you. 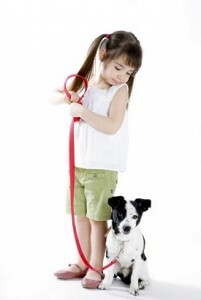 Get in-home private lessons on how to train your dog. Our trainers go wherever your problem occurs, whether it’s your home, office, or the local park. Meet when you want and work on whatever you want. You’re the boss. Convenience: Flexible scheduling with daytime, evening, and weekend appointments available. Personalized One-on-One Attention: We’ll work on your goals rather than teaching a set curriculum. Real World Training: We practice training at your home, office, kids’ soccer games or wherever you need your dog to behave. Intensive Support: We’re available by phone and email to provide support between lessons. 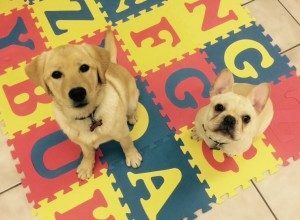 Puppy HeadStart is an open enrollment puppy training class with flexible scheduling designed to make sure that you master the skills taught rather than with a set time frame. We have openings every week at West Chester, and every other week at the Oxford area location. The course can last anywhere from 6-10 weeks depending on your progress. We also have a variety of group class bundles to meet all of your training needs.